With some of the best birding in the country, birders from all over flock to San Diego County, California. 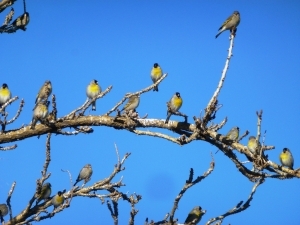 Located on the Pacific Flyway and with habitats ranging from coastlines to mountains and deserts, more than 500 species of birds have been observed in region. San Diego has been labeled the “birdiest” county in the country. Join Chip Clouse from Front Range Birding Company for a spectacular birding trip to southern California. About Your Guide: Chip Clouse is the Manager of the Front Range Birding Co in Littleton, CO and a long-time bird tour leader. Originally enamored with tooth and claw predators, his fascination with birds started by volunteering with the NC Wildlife Resources Commission to monitor Peregrine Falcon nest sites while an undergraduate and was cemented once he saw his first Western Tanager while working for the Peregrine Fund in Oregon. With 20 years of bird research and project management experience in 9 states and the Caribbean nation of Grenada, a Masters in Conservation Biology from Colorado State, 5 years with the American Birding Association, 3 years as a rep with Opticron optics and Novagrade Digiscoping adapters and stints guiding at 15+ different US birding festivals, Chip is excited to share his love of birds and habitat in this trip to the places he fell in love with during his first trip to the San Diego area in 2008 and in several trips since. DAY 1 (Wed, Sept 20): Arrival/ San Diego ~ Late morning arrival to San Diego followed by birding local hotspots including Sunset Cliffs, Point Loma, Fort Rosecrans, Robb Field, San Diego River, and Mission Bay. DAY 2 (Thurs, Sept 21): San Diego/ Brawley ~ Morning departure for Brawley south of the Salton Sea with full day of birding including Lake Murray and Silverwood Wildlife Sanctuary en route. Lake Murray: A good variety of birds is possible here with consistent species like osprey, California gnatcatcher, tricolored blackbird, California thrasher, and green heron. Day 3 (Fri, Sept 22) – Brawley/ San Diego ~ Full day of birding at Salton Sea, Anza-Borrego State Park and Imperial Valley. Evening return to San Diego. 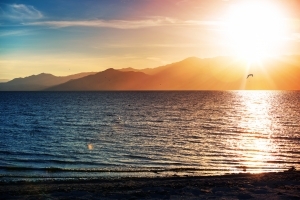 Salton Sea National Wildlife Refuge: Situated along the Pacific Flyway, this refuge offers spectacular views along with some of the country’s best birding. Heavy migrations of waterfowl, marsh, and shorebirds occur during spring and fall. Endangered California brown pelicans and Yuma clapper rails call this refuge home. Day 4 (Sat, Sept 23) – San Diego ~ Birding in San Diego area and south including Tijuana Slough, Border Field State Park, Tijuana River National Estuarine Reserve and Imperial Beach. Tijuana River National Estuarine Reserve: The Tijuana River Estuary is one of the few salt marshes remaining in southern California, where more than 90% of wetland habitat has been lost to development. More than 370 bird species rest and breed in these coastal wetlands, including six endangered species. Day 5 (Sun, Sept 24) – Departure or Optional Pelagic Trip ~ Transfer back to the airport via complimentary hotel shuttle in time for your flight home or stay on for the optional pelagic boat trip today. Price: $1095* per person based upon double occupancy. Price includes accommodations, full-time driver/ guide (Chip Clouse from Front Range Birding Company), activities, and meals as listed in the itinerary. Exclusions: airfare, personal expenses, dinners, and activities not listed in the itinerary. 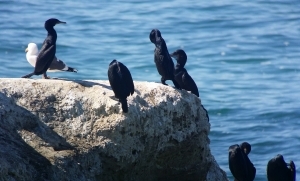 Day 5 (Sun, Sept 24) – Fall Migration Pelagic Trip ~ Twelve-hour pelagic trip to San Diego County Waters to the 9-mile and 30-mile Banks with possible brief excursions into Los Angeles County waters to pursue storm-petrel rafts. 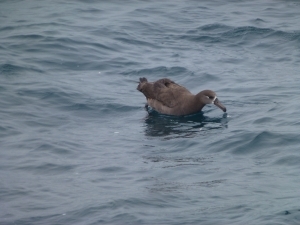 This is a good time of year form the irregular Craveri’s murrelet and storm-petrels should be one of the highlights of the trip. Likely species: pink-footed, sooty, and black-vented shearwaters, black and least storm-petrels, brown booby, red-necked and red phalaropes, pomarine and parasitic jaegers, Cassin’s auklet, Sabine’s gull, and common tern. Day 6 (Mon, Sept 25) – Departure ~ Transfer back to the airport in time for your flight home.